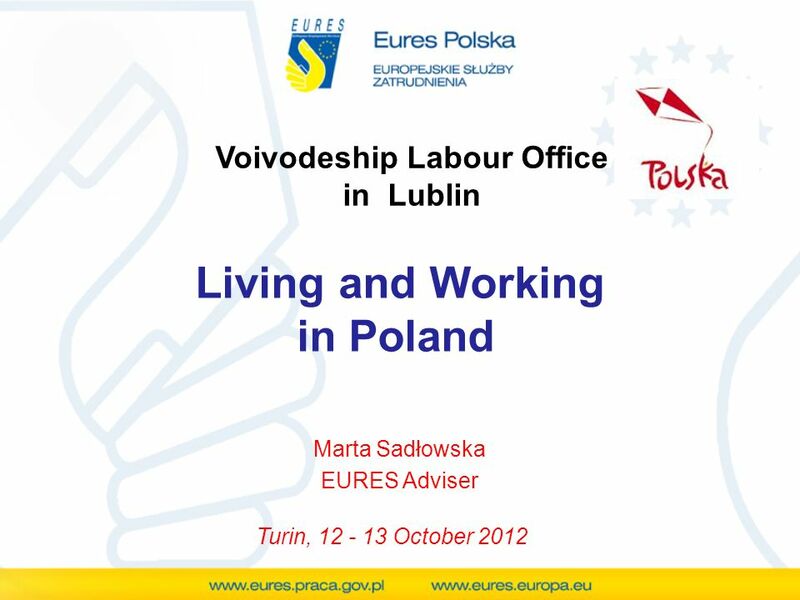 Voivodeship Labour Office in Lublin Living and Working in Poland Marta Sadłowska EURES Adviser Turin, 12 - 13 October 2012. 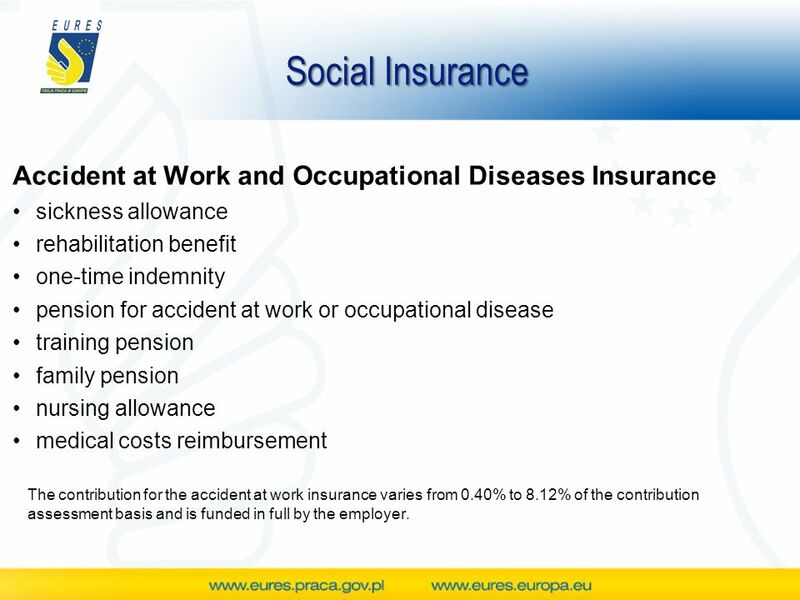 17 Social Insurance Accident at Work and Occupational Diseases Insurance sickness allowance rehabilitation benefit one-time indemnity pension for accident at work or occupational disease training pension family pension nursing allowance medical costs reimbursement The contribution for the accident at work insurance varies from 0.40% to 8.12% of the contribution assessment basis and is funded in full by the employer. 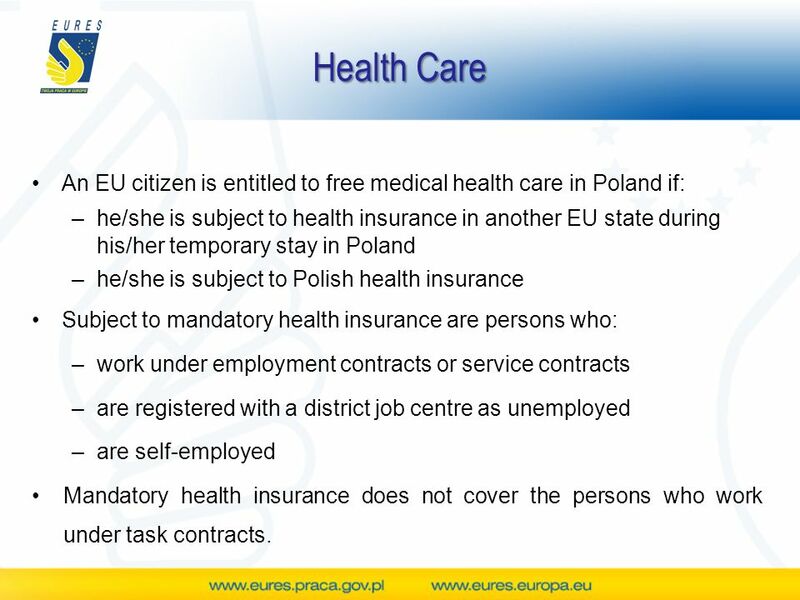 18 Health Care An EU citizen is entitled to free medical health care in Poland if: –he/she is subject to health insurance in another EU state during his/her temporary stay in Poland –he/she is subject to Polish health insurance Subject to mandatory health insurance are persons who: –work under employment contracts or service contracts –are registered with a district job centre as unemployed –are self-employed Mandatory health insurance does not cover the persons who work under task contracts. 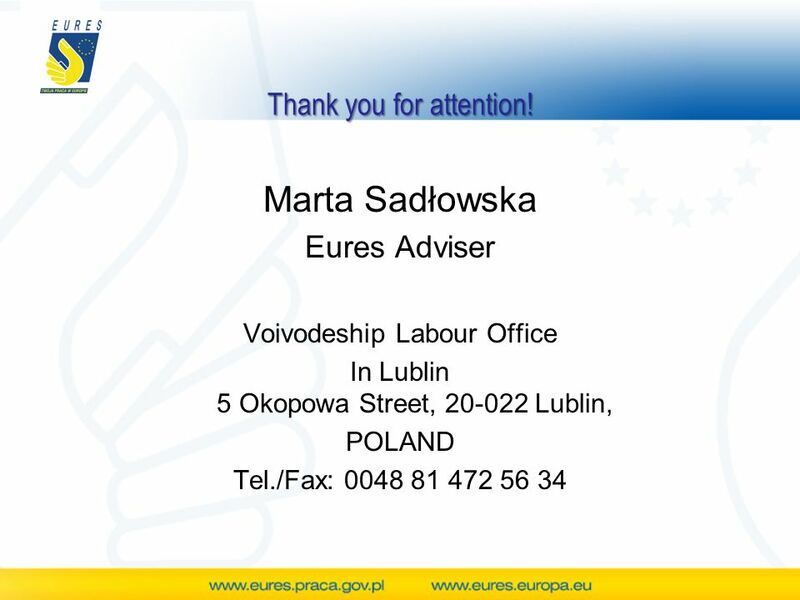 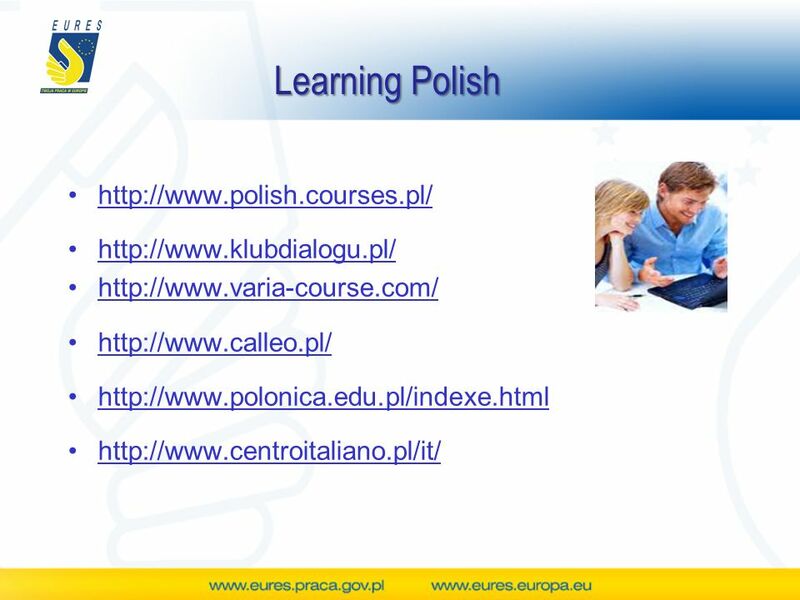 Download ppt "Voivodeship Labour Office in Lublin Living and Working in Poland Marta Sadłowska EURES Adviser Turin, 12 - 13 October 2012." 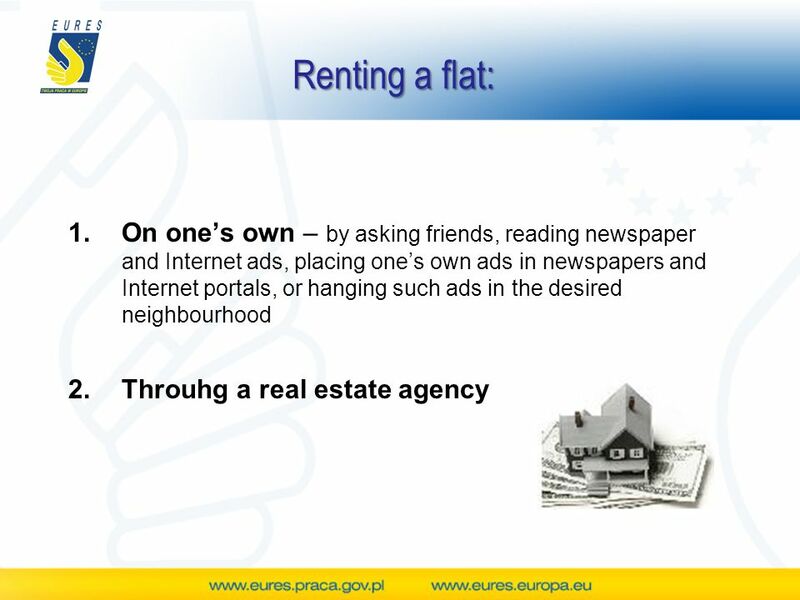 Living and working in Denmark Turin October 2007. 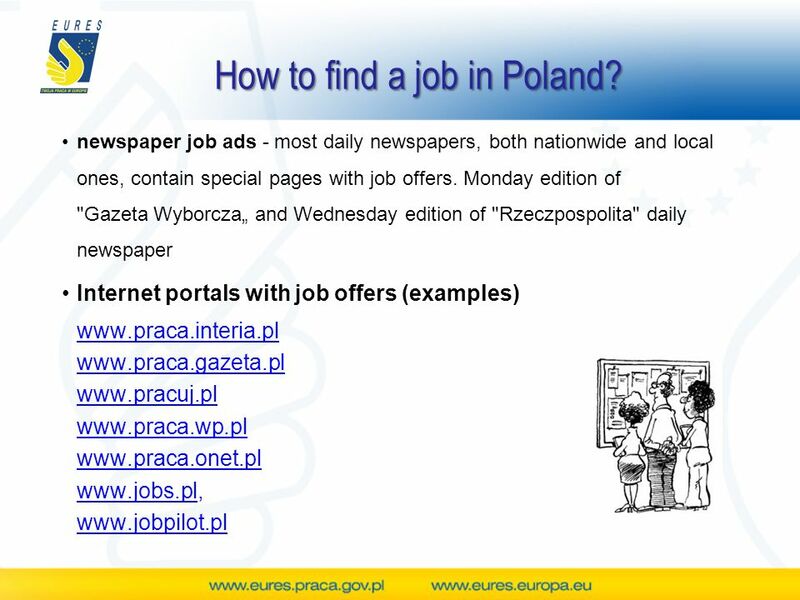 Marketing – Chancen und Herausforderungen für die BA EURES Germany Ina Rosenow Living and Working in Germany. 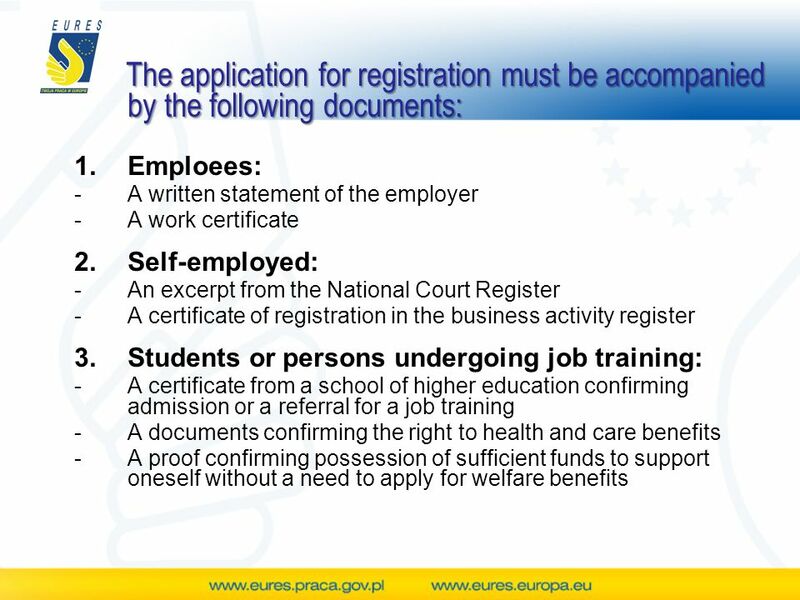 LABOUR MARKET, PUBLIC EMPLOYMENT SERVICES, LABOUR MARKET SERVICES and EURES in Poland Iceland, September 2005 MINISTRY OF ECONOMIC AFFAIRS and LABOUR. 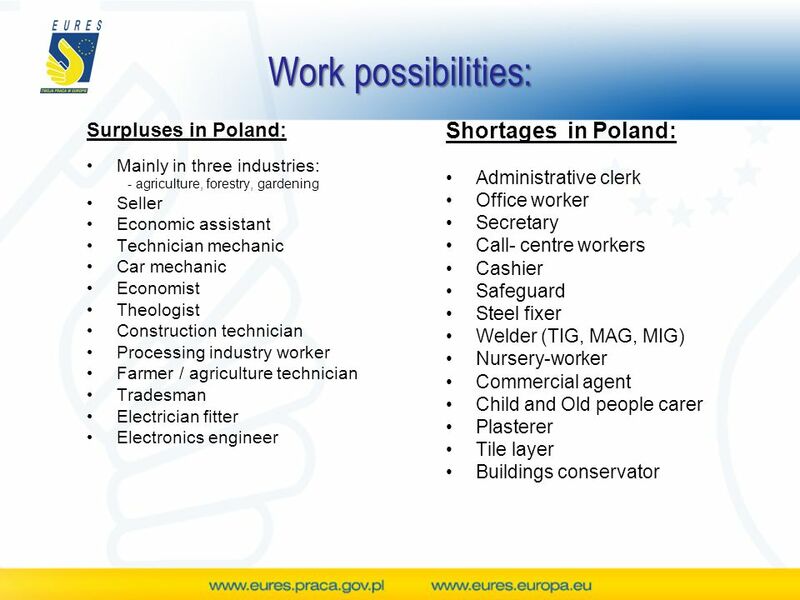 Ministerstwo Gospodarki i Pracy Sectoral Operational Programme Improvement of the Competitiveness of Enterprises, years POLAND. 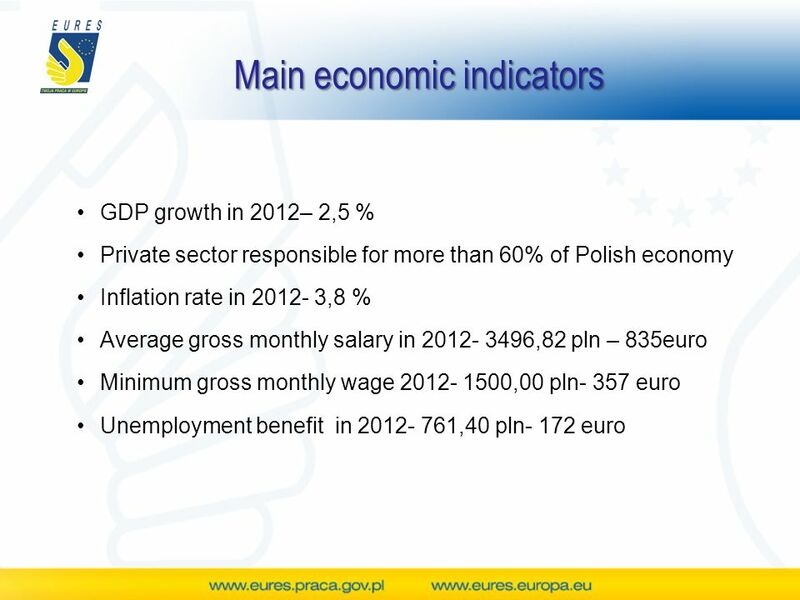 Adcorp Employment Index 2014 Labour Market Update. 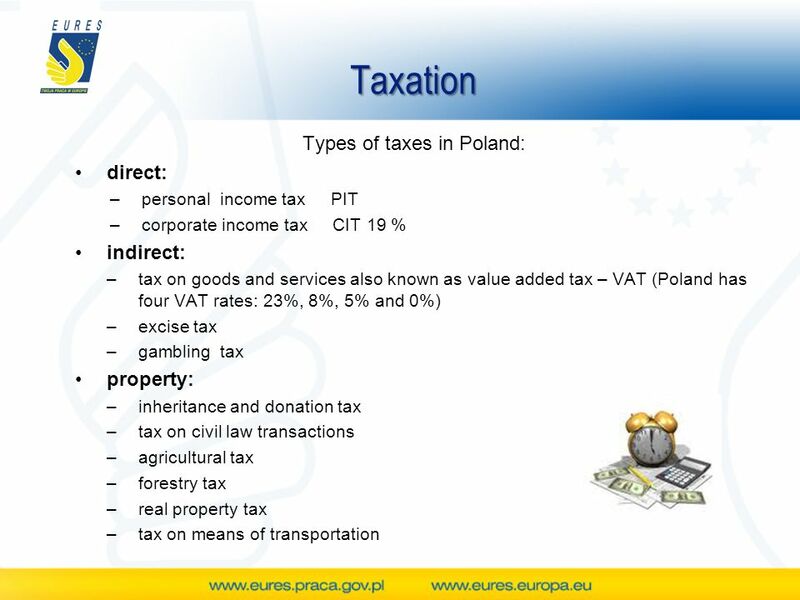 Ghent, February 26, 2013 Embassy of Poland Trade & Investment Promotion Section Krzysztof Turowski, Counsellor, Head of Section INVESTMENT CLIMATE AND. 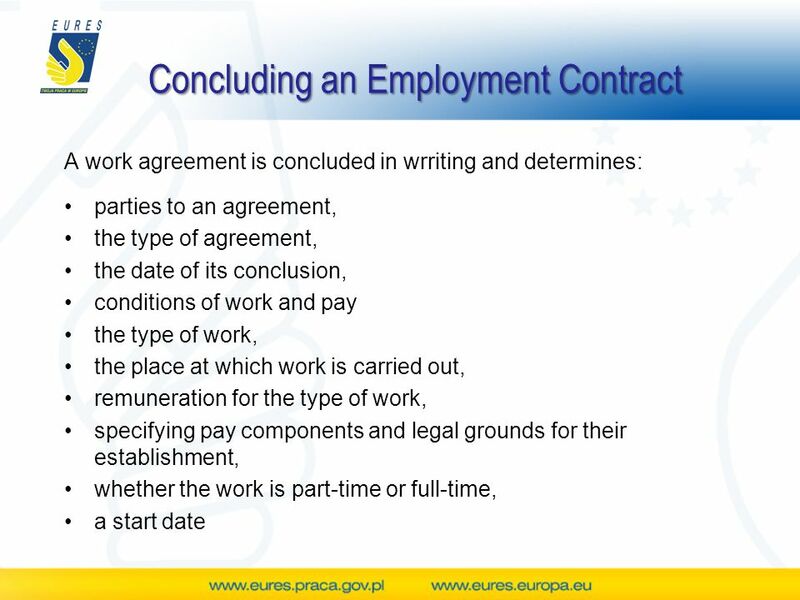 Living and Working in Finland Employment and Economic Development Office Kouvola Joensuu Employment and Economic Development Office. 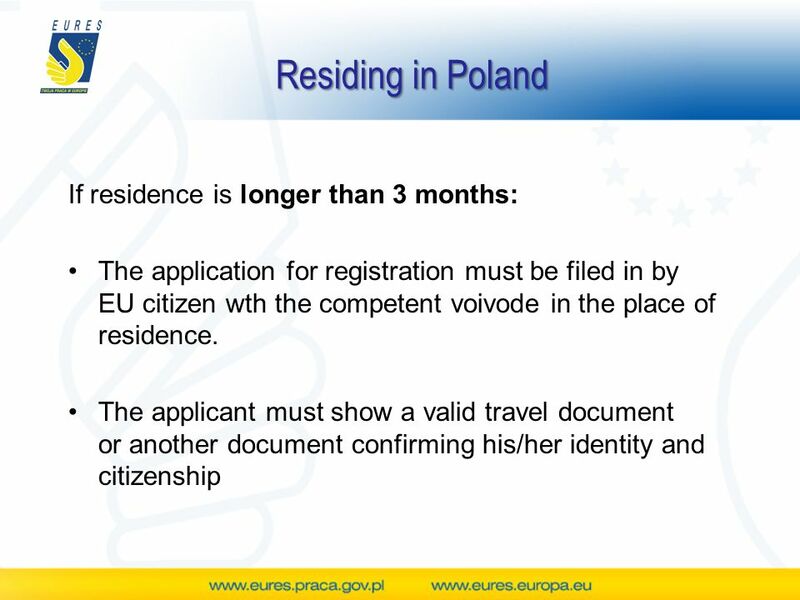 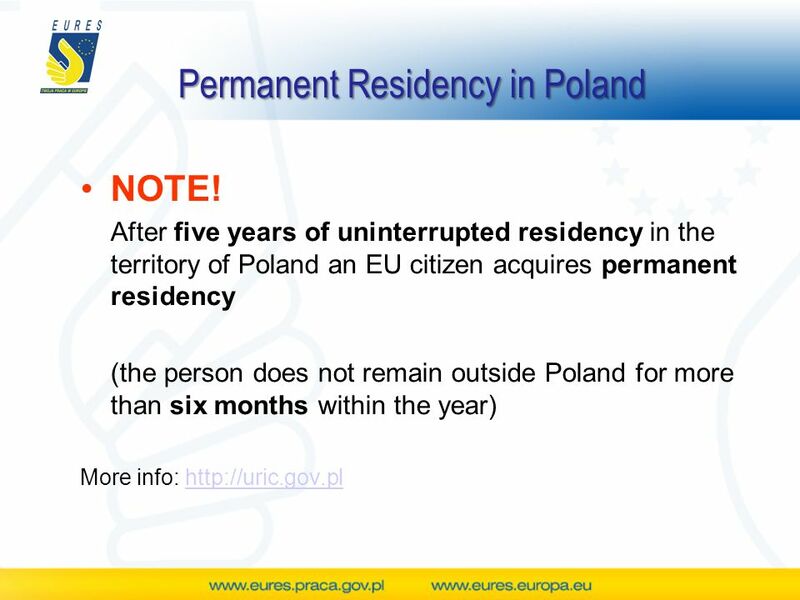 Legalization of the stay on the territory of the Republic of Poland for the foreigners completing studies. 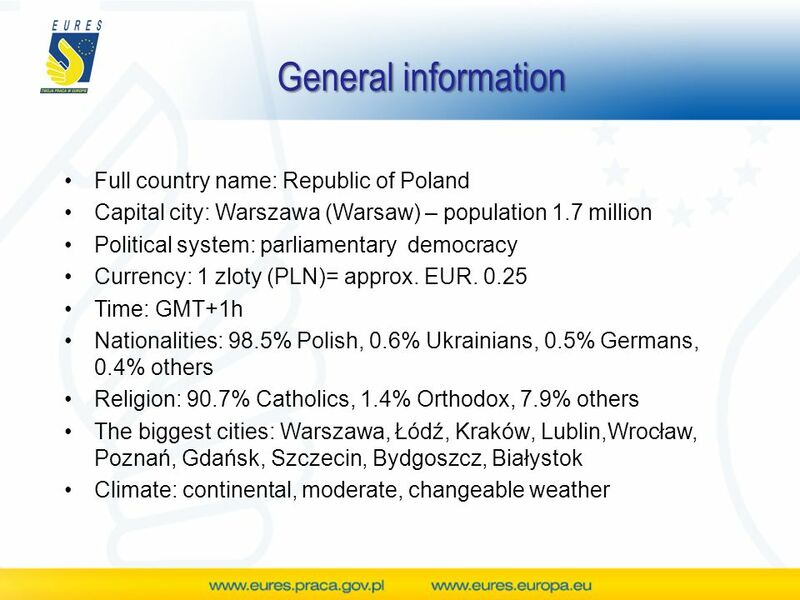 TORINO, Living and working in Poland Katarzyna Kawka-Kopeć EURES Adviser. 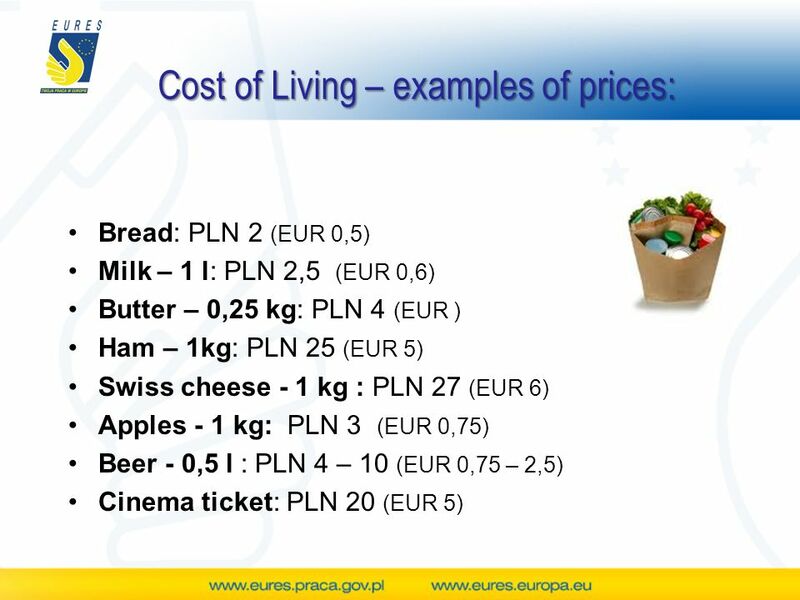 Welcome to Oslo and BI!. 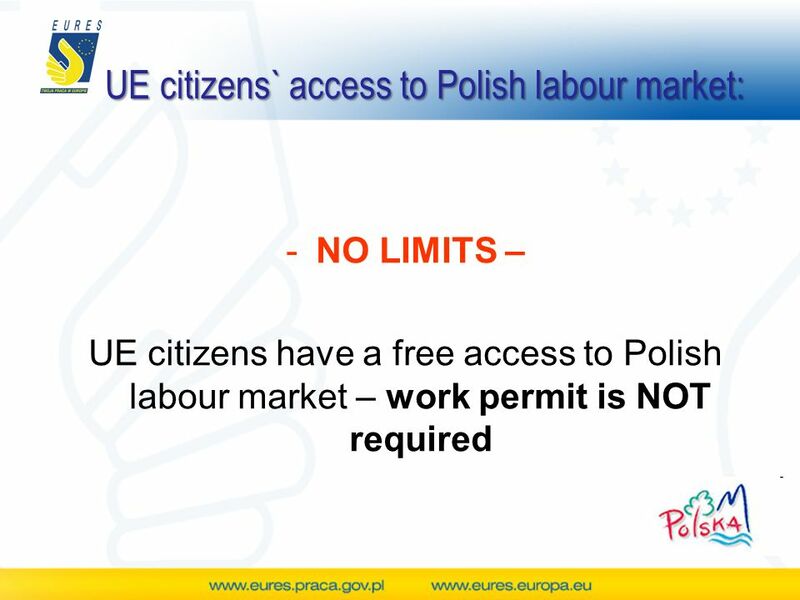 Labour market situation and participation of unemployed with disabilities in Active labour market measures in Latvia EURES adviser Agija Krafte.